Our mission is to get people better as quickly as possible! If pain or discomfort have sidelined you from your favorite activities, we want to help. Since 2002, Guerette & Waybrant Chiropractic has been helping area residents find not only relief but enhanced health and wellness. Chiropractors Dr. Donald Guerette and Dr. Robert Waybrant use their hands to help the body heal naturally. We’ll help you get the results you want in the shortest amount of time so you can resume all the activities in life that you love. We’ve had many patients who would come to us with tears of joy over what we’ve been able to do for them. It’s exciting to see these individuals get their life back. At our family practice, we see people of all ages, from infants to 90-year-olds. As athletes themselves, our chiropractors are also able to provide excellent care to runners and other athletic patients who walk through our doors. We use a wide array of techniques, ranging from traditional, manual approaches to those that are instrument-assisted. The care we provide is always custom-tailored to meet the unique needs of each patient. In addition to chiropractic care, we offer tools that you aren’t likely to find elsewhere: Shockwave therapy, a powerful Class IV laser, and acupuncture to give patients the comprehensive care they need. Chiropractic is all about restoring proper motion to a person’s body. When we reduce nerve interference or subluxation, you can experience better function. Chiropractic restores a higher level of various nervous system applications in the body. When that renewal takes place, many different functions of the body will improve. One of our miracle stories is a patient who since the age of 16 could not fully plantar flex his foot, having no range of motion. It was an Achilles tendon injury that didn’t allow him to get a full plantar flexion of the foot. When he came to us, the patient was probably in his mid-50s. After just one laser treatment at our practice, he was able to point his toe, and he’s never not been able to since. Getting the natural, effective chiropractic care you need and want has never been more convenient. 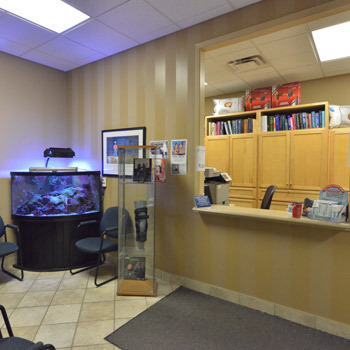 Our walk-in practice is located inside the Lambton Mall. We offer Saturday and same-day appointments and are open late three evenings a week. If your joints are out of tune like a piano key, we’d like to help restore harmony to your body. Contact us today to schedule an appointment!